Buds Convocar – renowned Artist and Educator. 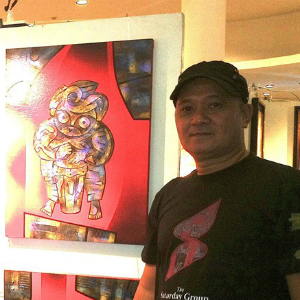 Salvador ‘Buds’ Convocar is recognized as one of the noted Filipino artists of our time. He is known for his paintings, pastels, illustrations, graphic design, and especially his mixed media artworks. He has had exhibits all over the country and abroad particularly in the U.S., Europe, Korea, India and Brazil. He was also an art educator at DLSU-College of St. Benilde, St. Scholastica’s College, University of the East, and Far Eastern University.